If you’ve ever thought about making your own homebrew, then you’ve probably wondered, at least a little bit, how long does it take to make beer? If it’s some long, drawn-out process that takes days or weeks, you might think twice about getting started with this hobby, but if it only take a few hours of your time, and produces great good beer that you can drink at home from your own kegerator, then maybe it is worth it. So how long does it take to make beer? The short answer to this complicated question is that it can take as little as 3 hours to brew beer on brewing day, plus an additional hour to keg it once it’s finished fermenting. That is if you know what you’re doing and you have as streamlined process with all the right beer brewing equipement. For instance, if you have a wort chiller you can easily cut 5 or more hours from the process. The rest of the time needed to make beer is just waiting for it to ferment, which can take anywhere from 7-14 (in some cases more) days. Total process, start to finish takes approximately 12 days. The absolute easiest and least time consuming method of making beer is using a beer brewing system, like the innovative PicoBrew Zymatic that does almost all of the work for you. If you don’t have the right tools or you don’t really know what you’re doing, brewing beer at home can take a lot longer than 3 hours. To show you the entire process, from start to finish, we’ve created this handy infographic that walks through the 10 steps of making beer at home. You can see from this graphic that the process of making beer is actually quite simple. Not all of the intricacies of each step are thoroughly explained, but the fact is that making your own beer is easy enough that anyone can do it, even if they have no prior knowledge or training. Following the infographic, I’ve explained the processes involved in each step in more details, if you’re curious. What to use this infographic on your blog? Just copy and paste the code below! Now that you’ve had a chance to look over the infographic and decide for yourself that homebrewing is really quite easy, you can dive a little deeper with our full process explanations. Stay tuned at the end of this guide for a list of recommended homebrewing books you should read before you get started. To explain the process, I will use the same 10 steps laid out above in the homebrew infographic. Clean and sanitize all equipment. This is a very important part of homebrewing and cannot be skipped or half-assed. Every piece of equipment that is used in the process must be fully cleaned and sanitized before it touches the beer, including your hands. Unsanitized equipment can lead to off-flavors and infection, and once the beer has be infected, there’s no way to fix it. You’ve just ruined a whole batch of beer. To clean and sanitize, homebrewers typically use products like PBW and StarSan. While there are others available, these are my go-to products. PBW (powdered brewery wash) is used to clean all the equipment after use. It will remove stubborn stains and even eliminate odors. It’s the first line of defense for keeping things clean. Star San is a sanitizer that is extremely effective at eliminating bacteria and other organisms that could ruin your beer. Fill your brew kettle with the amount of water you wish to brew with. It is recommended that you brew with as large a boil as possible. For a 5-gallon brew, start with at least 1.5 gallons, up to the full 5 gallons, depending on how much will fit in your kettle. Allow the water to come to a boil, add the ingredients of your recipe in the order it is prescribed in the recipe. There will be specific timed phases you need to follow closely. Once the boil is complete and all ingredients have been added, the wort needs to be cooled down as quickly as possible. A wort chiller will produce the fastest results. It is a coil that you insert into the hot liquid in the brew pot and run cold water through. The coldness of the coils will rapidly cool the wort. If you don’t have a wort chiller, the best way to cool the wort quickly is to submerge the brew kettle partially in a bath of ice water. If your kettle fits in your kitchen sink, that’s ideal. You can continue to add ice and cold water to the sink basin, until the wort is cooled. Some people suggest placing the kettle outside (in cold weather), but I don’t like the possibility of introducing bacteria. The wort must be cooled to at least below 78 degrees before the yeast can be added, but consult the recipe for the exact temperature. It can require a lower temperature for best results. Be careful not to disturb the wort too much while cooling. You don’t want to aerate or introduce air to hot wort. Once the wort is sufficiently cooled down, pour it into a fermenter bucket or a carboy, using a funnel. The only time in the brewing process that you want to expose your beer to air is during this step, after the liquid has been cooled down. Adding air at any other time might oxidize and ruin the beer. At this stage, though, you need to aerate it to add oxygen back to it. Oxygen is necessary for the yeast growth and reproduction. Without it, they might die or fail to thrive. You can aerate the wort by swishing the carboy or rapidly stirring the liquid in the fermenter with a slotted spoon. We also like to splash the liquid into the fermenter when pouring it in (which is a main reason we prefer to ferment our beer in a plastic fermenter. Some brewers go so far as to hook a drill up to a special aerator tool to rapidly add air. However you do it, make sure the wort is sufficiently aerated (about 5-10 minutes of swishing) before pitching the yeast. Once you’ve gotten the beer down to the correct temperature and aerated it properly, it’s time to add the yeast. 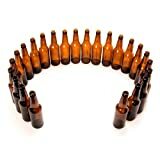 There are many different types of yeast vials or packets you can purchase for use in your beer. We prefer the WYEAST packets, for ease of use. Whichever method you’ve bought, follow the instructions on the package to properly pitch the yeast. One the yeast has been added to the beer, you can put the lid or bung on tightly, secure the airlock in place, and set the fermenter in a cool, dark place so it can begin the process of fermentation. You don’t want to put it anywhere that has fluctuating temperatures, gets too cold or two hot, or is exposed to any sunlight. Allow the beer to relax and ferment for about 10 days, without disturbing it. During the fermentation stage is when you might dry hop your beer. If your recipe calls for dry hopping, prepare the hops bag and set it inside the fermenter for the prescribed number of days. You’ll want to take a gravity reading starting at about day 10 and continue taking a reading every day, one a day, until no further activity is recorded on the hydrometer. If you did everything right, your gravity reading should be pretty close to what the recipe initially said it would be. When the reading has stayed the same for multiple days, and is verified to be within the expected range, the fermentation has stopped and you are ready to bottle or keg the beer. NOTE: At this stage, you must decide if you’re going to keg your beer for use in a home kegerator (see our recommendations here), or if you’re going to bottle the beer. If you’re kegging, you can skip the next few steps and add the beer directly to the keg. The CO2 will carbonate the beer, eliminating the need for priming sugar. Once the beer has finished fermenting, you’ll want to prepare it for bottling. This means adding a priming sugar to it, so the bottles will carbonate in the bottle. Each recipe likely has its own measurements for priming sugar and you should follow those recommendations, using a scale rather than a dry measuring cup, to measure the weight of the sugar to be used (Yes, we’ve made this mistake. 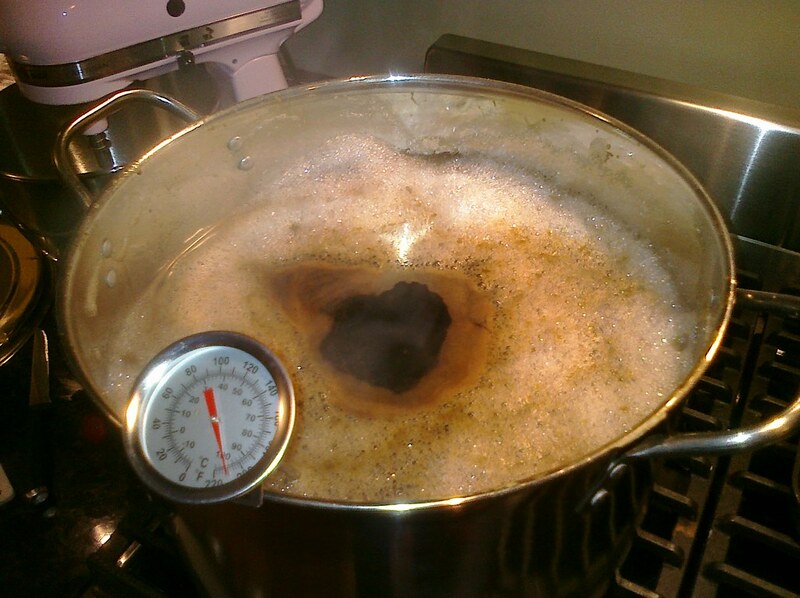 Read about other homebrewing mistakes). The mixture should be roughly 3/4 cup cane sugar and 1 pint water. Heat the mixture on the stove until all the sugar is dissolved, then cool the liquid and add it to a sanitized priming bucket. If you want to keep it super simple, you can use sugar carbonation drops instead, which eliminates the need to mix together a priming sugar. You just add one drop to each bottle. You will now rack the beer from the carboy into the priming bucket. 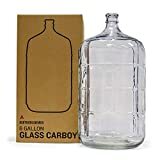 To transfer the liquid, place the racking cane and tubing into the carboy and be careful not to aerate or splash the liquid in the transfer. This process will mix the beer with the sugar. If you want, you can stir it once more to make sure it’s properly mixed, but be sure NOT TO AERATE it. To bottle the beer, you will transfer the racking cane and tubing into the priming bucket and attach the bottle filler to the tube. Fill each bottle halfway up the neck. Be sure not to leave too much or too little space in the neck of the bottle, to prevent over or under carbonation. Cap the bottles and set aside for 2-4 weeks to carbonate. A 5-gallon batch of beer should fill around 40 12-ounce beer bottles. You’ve now made it to the part of the show where you get to drink and enjoy the fruit of your labor. Congratulations! Now you can see just how long it takes to make beer at home, and how involved it is. It’s time to pick your first recipe!